Gothtober Day 6 Comic Pages with Jenn Paige Gordon! 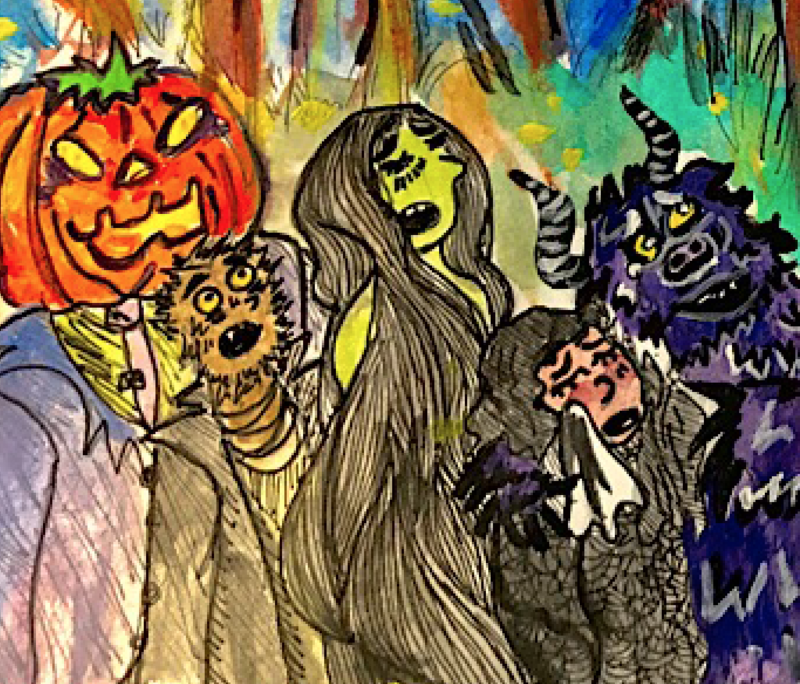 artists Comments Off on Gothtober Day 6 Comic Pages with Jenn Paige Gordon! Visit www.gothtober.com and click on DAY 6 to see two gorgeous comic panels by artist, Jenn Paige Gordon! It’s Gothtober’s 15th year of counting down the days to Halloween, this means it’s our Quinceañera Celebration! Quinceañeras tend to incorporate a lot of symbolism into various aspects of the day, from the quince court to the reception. One tradition calls for the quinceañera to wear flats during the ceremony. She will continue to wear them to the reception and during the time leading up to the traditional quince waltz. Just before the waltz, a changing of the shoes ceremony will take place. So what you’re witnessing in these wonderful illustrations from Jenn Paige Gordon is the BEFORE and AFTER of the little witch’s shoes! 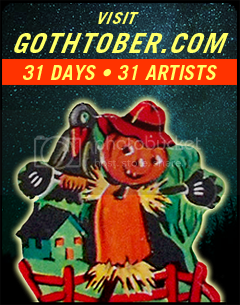 A pumpkin-ghost-ghoulish hat’s off to Jenn Paige Gordon for joining our 15th year Calendar! Read Jenn Paige Gordon’s bio and other Gothtober contributor’s bios here!